Engineering is a funny industry in the way that it’s perceived to be very backward, for example, using faxes instead of emails. Here at Seven Creative we’ve worked with many engineering companies over the years proving the full range of services including email marketing, direct mailings, web marketing, social network marketing and telesales so we have a good understanding of what is needed to increase sales. 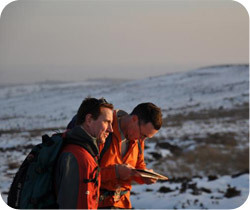 The Bo Mac website, on the surface, may seem like a simple brochure website –and in many respects it is – however, there are other elements that, given time, will provide an incredible return on investment like, for example, Search Engine Optimisation, which, in a similar way to the tortoise racing the hare, will pay dividends in the long run. Bo-Mac Sheffield are precision and general engineers, providing CNC and manual machining, turning and milling as well as coded welding and fabrication. 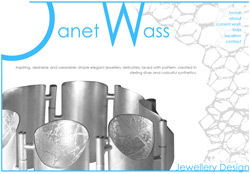 Based in Sheffield, Janet Wass designs and creates simple, elegant jewellery for the contemporary individual. She fuses her passion for jewellery with her love of photography, lacing her designs with photographically produced imagery using laser-cutting and photo-etching alongside traditional jewellery making techniques. Jewellery is designed to be comfortable and wearable. It’s elegant use of pattern and subtle combination of colour, together with its playful quality appeals to a range of people within our integrated world; the chic, the stylish, the playful, the subtle and the visual. Janet initially approached us in despair for some advice has her ‘web developer’ hadn’t done what they said they would do and she was left with an ineffective and non-functional website. From our experience, this is quite a common story, however, this didn’t change the fact that she had ended up with a site that was effectively useless so we rebuilt it providing her with a well search-engine-optimised website that allows her to edit and update every part of her website. “I approached Seven Creative after I experienced difficulties with my existing website. Chris offered fantastic help and advice – going above and beyond what I would ever have expected. Because of this, I decided that I would have my website rebuilt by them. I can honestly say that it was a decision I have never regretted – I now have a website that I looks completely professional, that is easy to navigate around, and that I can completely content manage myself. I am absolutely thrilled with it! Chris is completely professional and obviously works extremely hard to produce websites that are tailored to the clients’ needs. I am so impressed with the speed they created my website and how approachable and understanding they were. They fully explained technical issues in a way that I could understand and responded instantly to my requests for modifications – actually, I saw the site change whilst I was on the phone making the requests – that really is great service!